We've teamed up with Huon Salmon to create a scrumptious series of easy and delicious recipes. Here is one that is perfect for the wintery weather and best served with fluffy rice and a side of your favourite stir fry veggies. Mix soy sauce, honey, lemon juice, ginger, and garlic together until honey dissolves. Reserve 1/4 cup of marinade in separate bowl, then place the Huon Salmon fillets, skin-side up, in marinade. Allow to marinate for at least 10 minutes, preferably for 30. 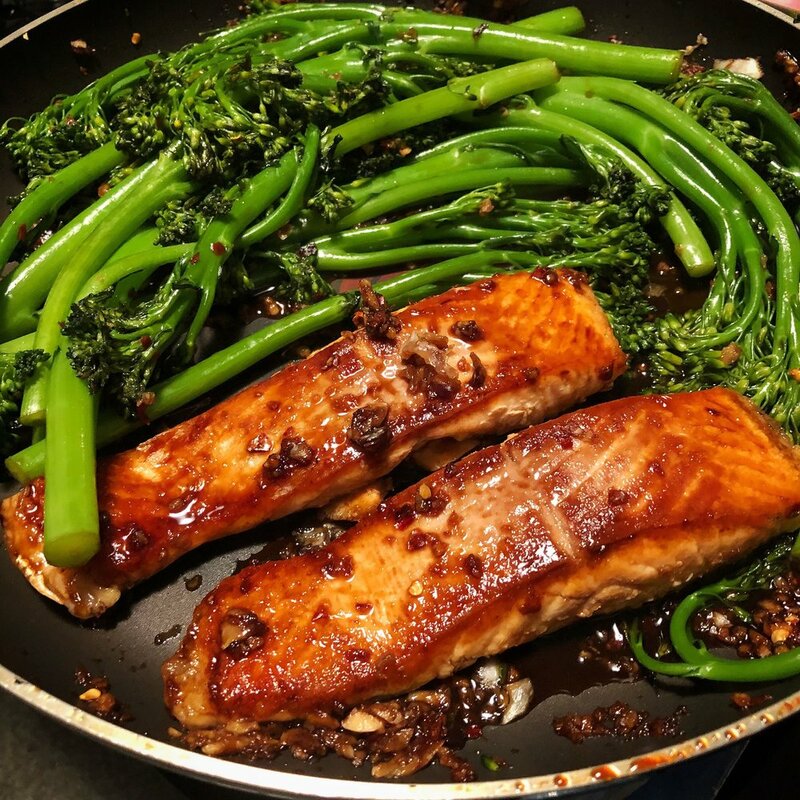 Pan fry the Huon Salmon until well-caramelised and the fish is just cooked through. Find out more about Huon Salmon and what sets them apart here.